This beautiful platinum & 18ct red gold ring has been handmade to Alan's design and matches the pendant and earrings that are on the site. 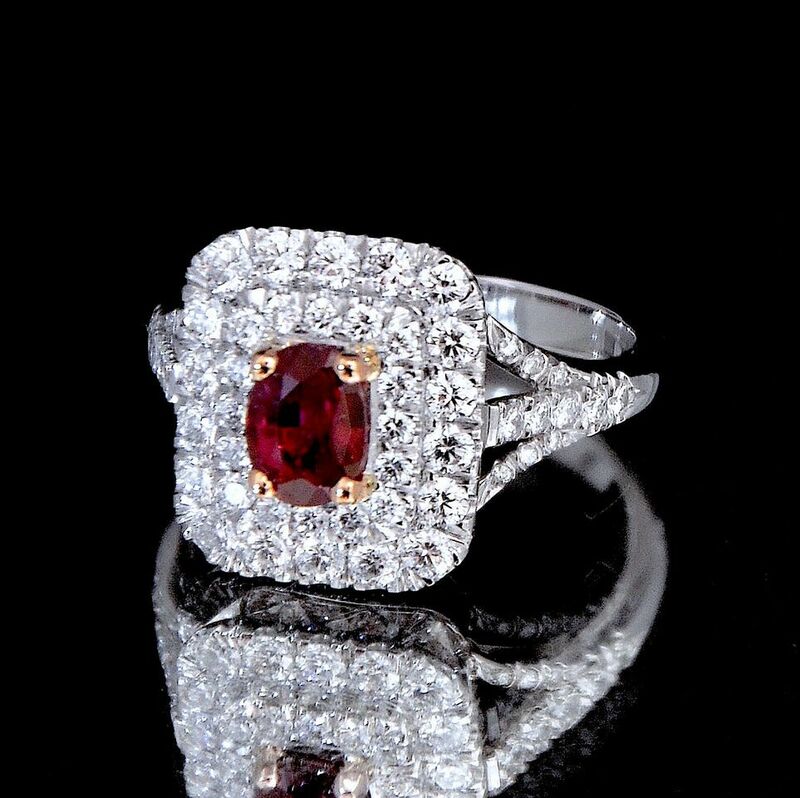 In the centre of the ring is an oval ruby set in 4 18ct red gold claws. 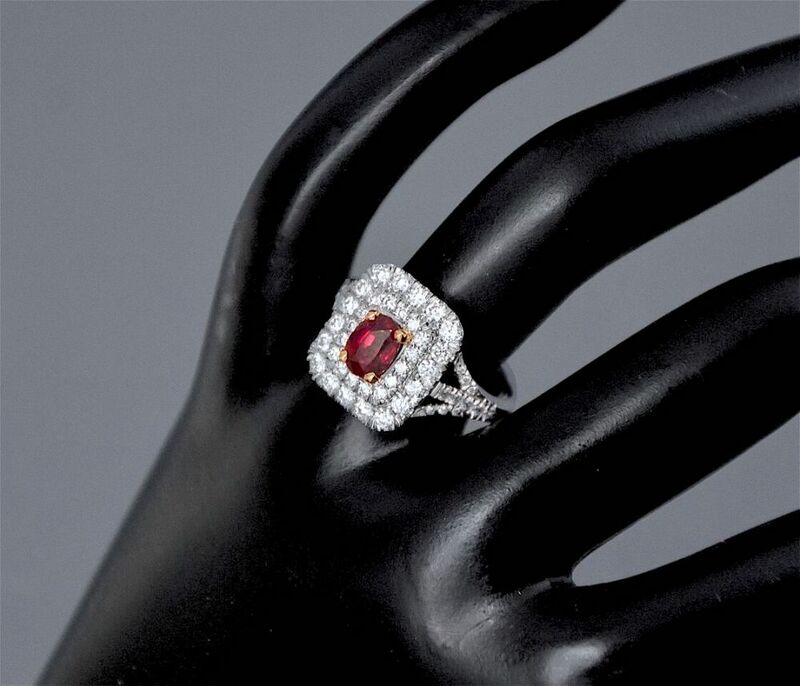 The ruby is set sightly above a double frame of small round platinum claw set diamonds above a platinum basket. The split platinum shoulders are also claw set with round diamonds as are the tops of the platinum shank. The ring is hallmarked by the London Assay Office for platinum & 18ct gold, for 2017 and with the sponsor's mark "A&SP" for Alan & Sue Poultney. It is a lovely piece in its own right but imagine wearing it with the matching necklace and earrings that are on the site!